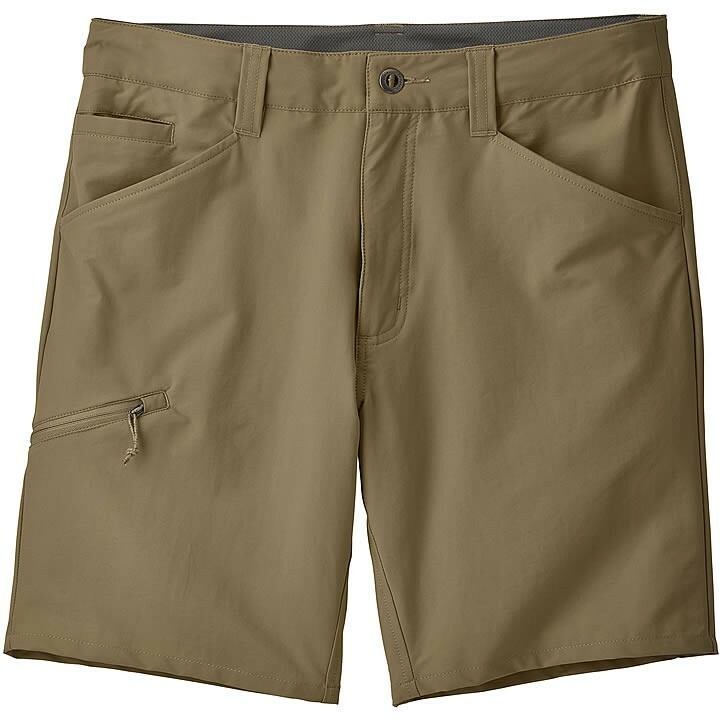 Patagonia's lightweight, forgiving Quandary Shorts are built with a quick-drying blend of 95% stretch-woven nylon (65% recycled to lessen their environmental impact) and 5% spandex that takes hard use and bounces back for more. Made for the kinetics of backpacking and travel, the versatile fabric stretches, resists moisture with a DWR (durable water repellent) finish. The curved waistband provides a contoured fit at the hips and a gusseted crotch lets you move without restraint. They have two front pockets, two in back, a stealth coin pocket and a zippered right-thigh pocket for security. 8" inseam.